Lakpa and the Annapurna team are currently healthy but are stuck at EBC due to bad weather.They are sitting tight waiting for the weather to be kind for their summit push. Our Everest teams start to arrive at BC today after enjoying lovely trekking weather heading up. 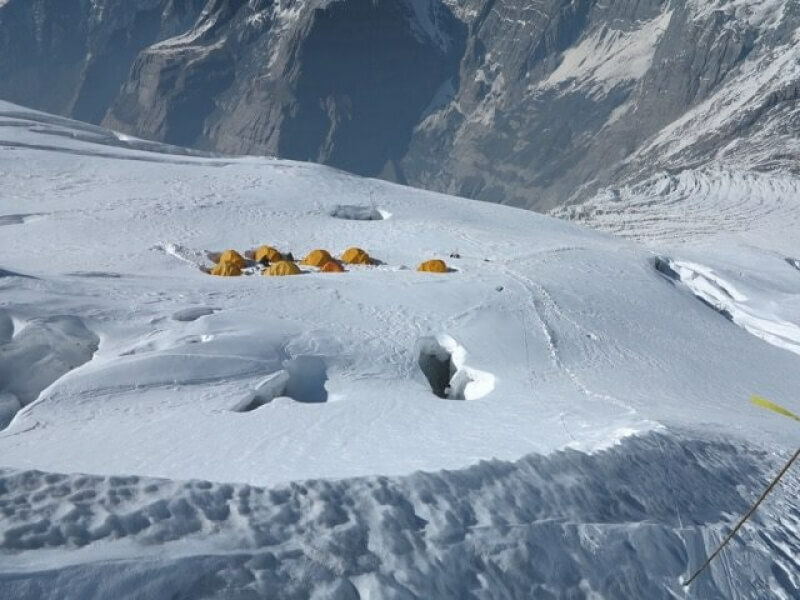 The camp is all set up thanks to the hard work of Rabin and our climbing Sherpas. Base camp is bustling, we are expecting more than 300 climbers for the big 3 mountains this season. The vibe is positive and morale is high to have a good season this year. Whilst waiting for our Everest teams to arrive, our Sherpas have already taken a break back to their homes and have returned to camp. As advised by a local lama, we conducted a small puja yesterday. Once the teams are settled in, we will conduct our major pre climbing puja on the 14th.